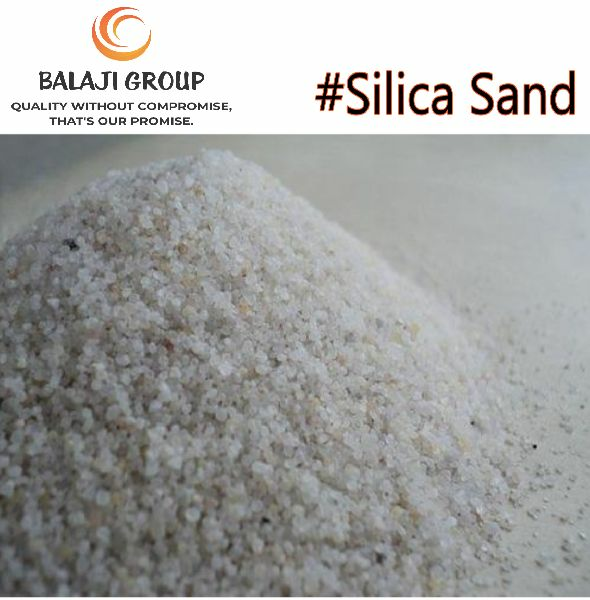 Balaji - Silica Sand offered by our company is considered the most abundant element available on earth’s surface. Silica sand is consumed in large number of industries in different forms. Our company various types of silica sand at pocket friendly prices. Customers can avail silica sand from us in bulk quantity. Fumed Silica : Possess unique strength, thixotropic properties and flatting properties, is a valuable ingredient in rubber, plastics coatings, cement and sealants. Silica Gel : It is an extremely pure, porous and amorphous form of silica possessing high degree of internal surface area, hardness, uniformity and chemical inertness. Its ability to absorb liquids makes it valuable in a wide variety of applications including catalysts, anticaking agents in food and pharmaceutical products, desiccants, cosmetics, plastics, specialty coatings, paper and adhesives. Precipitated Silica : Another type of specialty silica which is mainly used as a reinforcing agent in tire compounds.